The 9th Iron Craft challenge was titled "Faux". The challenge was to make something look like something it isn't. 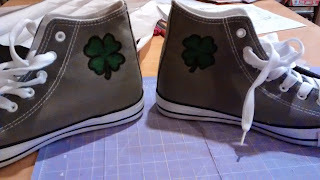 I kind of strayed a little from the description as I saw "faux" and my mind went straight to a project I was already planning... custom decorating some look-a-like Converse shoes. They really are shoes, and they don't look like they're not shoes, but they do look like Converse hi-tops and they're not - so it still counts, right? I've seen some really cool painted shoes recently and since my old converse have developed holes in the soles (and I haven't really got the money for new con's at the moment) it seemed like a good opportunity to paint up some cheapies. 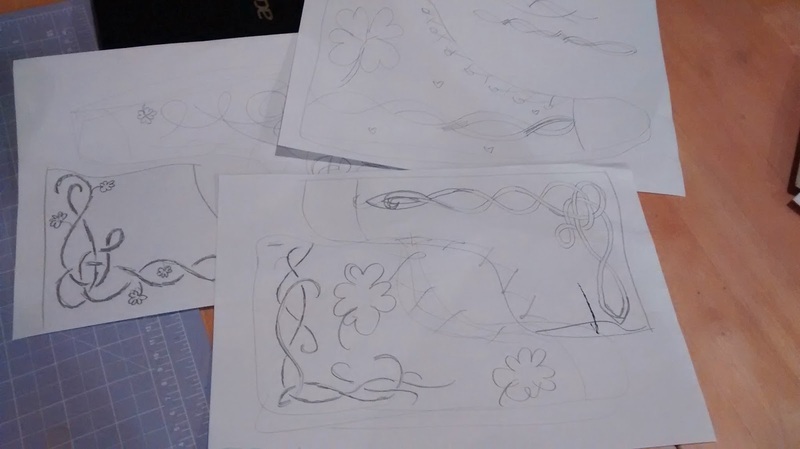 I had some ideas in my head as to what I wanted to paint on them, but once I sat down and started sketching out things I ended up deciding on something completely different! 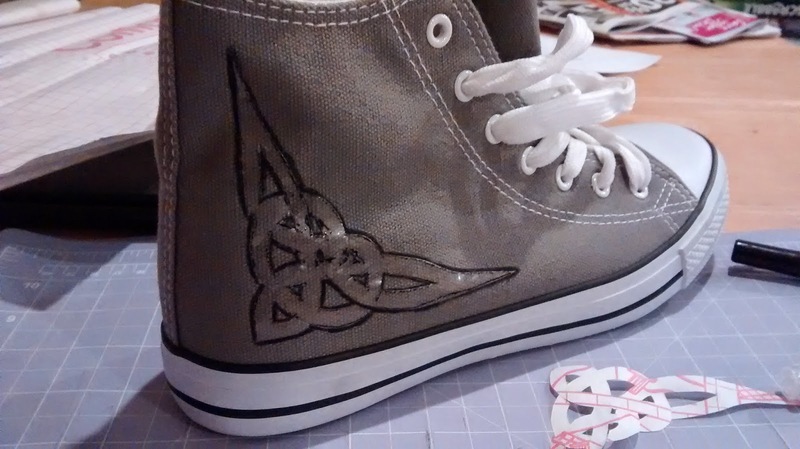 I'm not confident in my free drawing skills (and I wanted the shoes to both look the same) so I drew my designs on paper, traced them onto contact paper, and then cut them out with an pen knife. 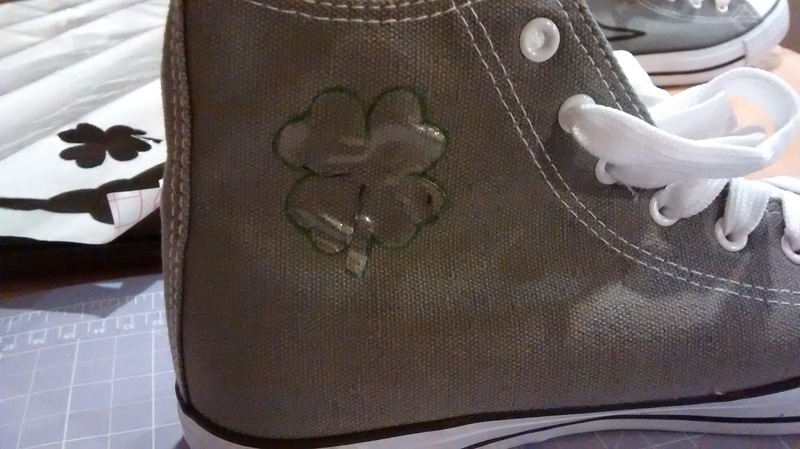 I stuck the contact paper shape onto the shoe where I wanted the design and lightly traced around it with a fabric marker. I had planned to use fabric paint, but the fabric markers were actually cheaper and I figured I would be steadier with a pen than a paint brush. After removing the contact paper from the shoe I went over my lines again and completed my overs & unders for the knotting. I wanted a cheeky little something on the inside ankle where the circle Converse logo usually is, so I added a four leaf clover. 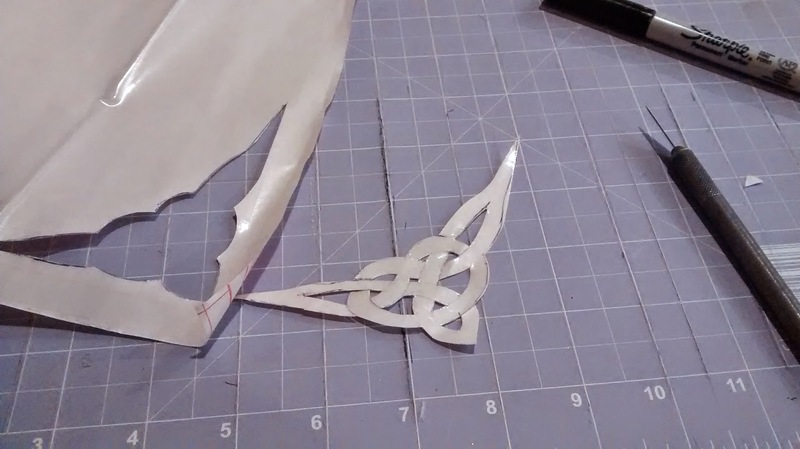 I cut the shape out of contact paper again and traced it with a green fabric marker. I coloured it in and then outlined the shape with black. 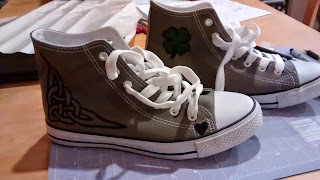 Ok, we'll let you pass ;) I love painting or embellishing shoes too, makes them personal.